Skrebba and Stago Stapling machines are precise in action and designed with renowned German engineering and strength. 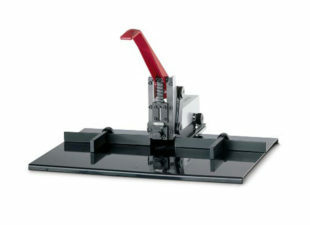 The range of Stago and Skrebba Staplers are either foot switch operated power or manual in operation. All Stago machines have a 2 year Parts and Labour Warranty* with every machine purchased with a service/maintenance contract. 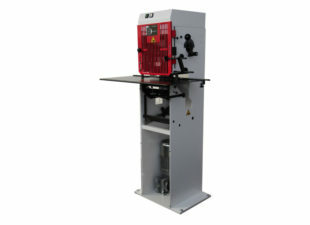 Stago high volume stapling machines have either single stapling head or multiple staple heads, some Stago and Skrebba Machines have a clinch facility for a perfect flat finish. 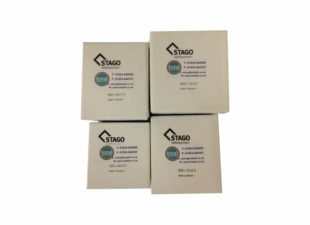 The broad range of heavy duty Stago Staplers can staple paper from 2 sheets to 270 sheets, ideal as an industrial stapler or booklet stapler. We also have in stock ex showroom and pre-owned Staplers – All our pre-owned machinery is serviced and refurbished by our engineers to ensure quality and customer satisfaction. Stago and Skrebba heavy duty staplers are sold exclusively in the UK by Total Print Finishing Services. Please call us now for samples and expert advice on the right system for you.